There's nothing like taking a Class 6 or 7 commercial vehicle with non-commercial refinement and making it even more non-commercial than ever before. 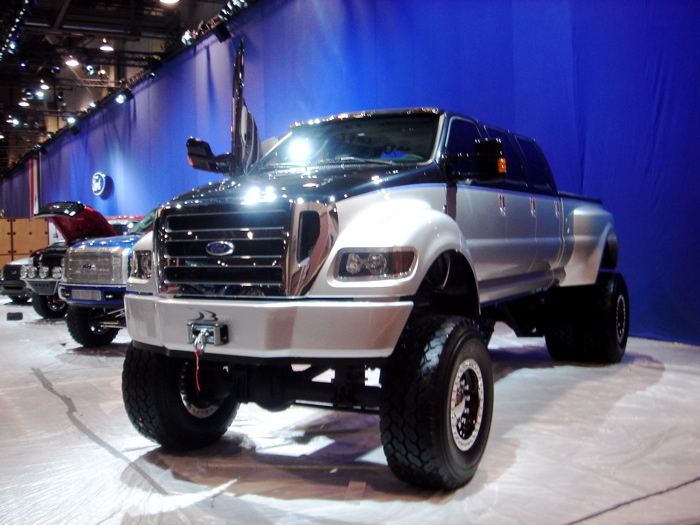 So, as we continue our wholly unsupervised preview of the 2006 SEMA show, we had to show you this behemoth of an F-650 pickup put together by the folks over at "Truck Customs by Chris" for FoMoCo to display this year. Yes, we know we've seen these things from afar, but never this close up, and never with both scissor and gullwing doors. Yes, it's horrifying in its beauty — but much like a train wreck, you just have to stop and stare. Stare away at the full gallery below the jump and then check out the rest of our coverage at our SEMA mini-site or via the feed.